My standard October holiday is southwest of Kempten, but I’ve also been meaning for some time to venture past the Swiss border — past the Alps entirely, even — to Portugal or Spain. Disappointingly, Lisbon seems to attract only extremely high airfares, and when I learned more about Porto, a calmer, smaller, but just as atmospheric city to its north, I booked a ticket almost immediately and tried not to peek at Zermatt weather to see what I was missing. With a great deal of squinting, maybe I could make the case that visiting Porto was almost like starting to prepare for a return to Charleston in 2019. 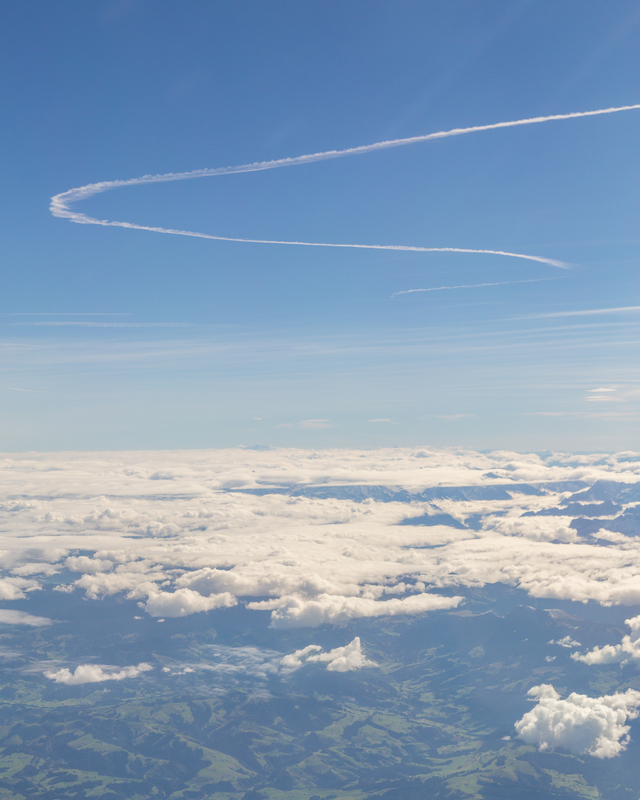 I took a late flight away from the mountains, this time training to Zurich instead of driving to avoid the outrageous parking charges that airport levies. I slept in on Saturday, making it to the hotel close to noon and wandered around town the first day, eager to see what it was all about. I ended up eating a francesinha for lunch, which admittedly wasn’t my first choice. The restaurant I had wanted to go to had a line out the door and down the street, and without any real itinerary for the day I figured I might as well try the heavy, heavy dish. 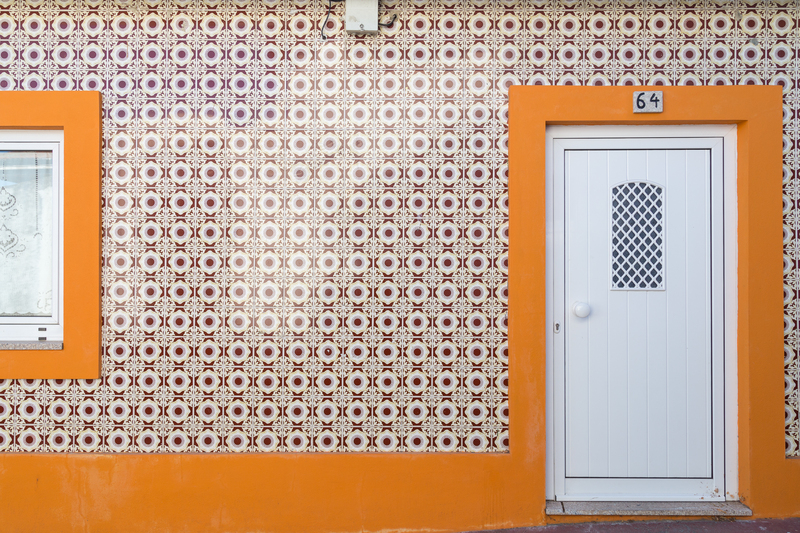 I used the rest of the afternoon to burn off the calorie bomb, and continuing my commitment to playing tourist it didn’t take long to stumble across a building with azulejo tiles, which often tell a story — albeit sometimes with parts missing. though some were happy to lend them plenty of thought. Evidently, it is possible to find the tiles for sale and not just on buildings or walls, but it occurred to me far too late that they could have made excellent gifts. Thankfully, I do have some photos to remind me of not just one specific tile but of entire stories being told. 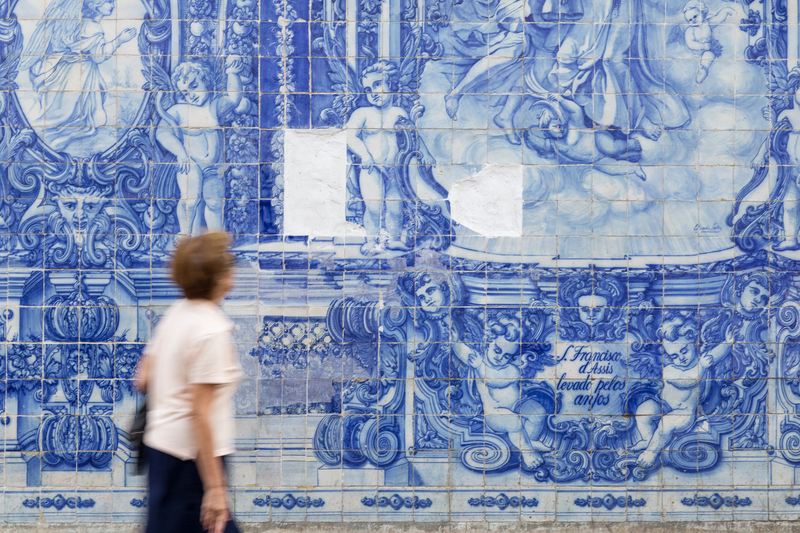 The approximately 20,000 tiles in the São Bento train station, for instance, depict various aspects of Portugal’s history. Without a tour guide in the Sé, I didn’t quite decipher the cathedral’s azulejos, not that this detracted from their beauty. Not all of Porto’s wall art was blue and white, however. 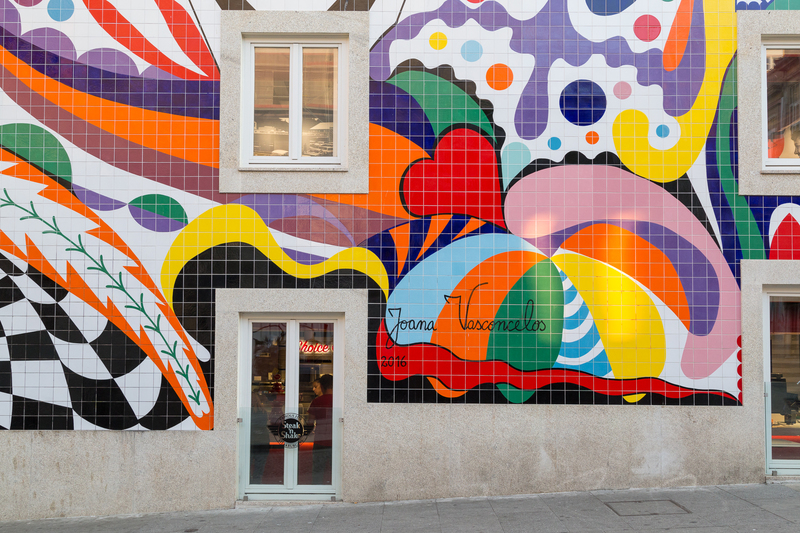 More modern creations were everywhere, including an incredibly colorful, mosaic take on graffiti at the Porto Steak ‘n Shake (!). 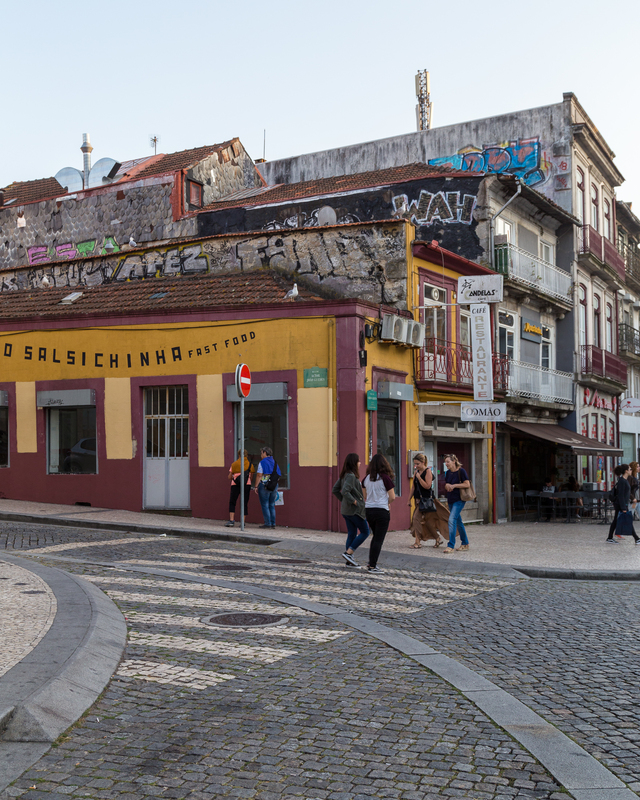 On my last evening, I was walking through Vila Nova de Gaia, home of most of Porto’s namesake drink and more shiny tiles. I spent a little time on Vila Nova de Gaia on the first day as well. 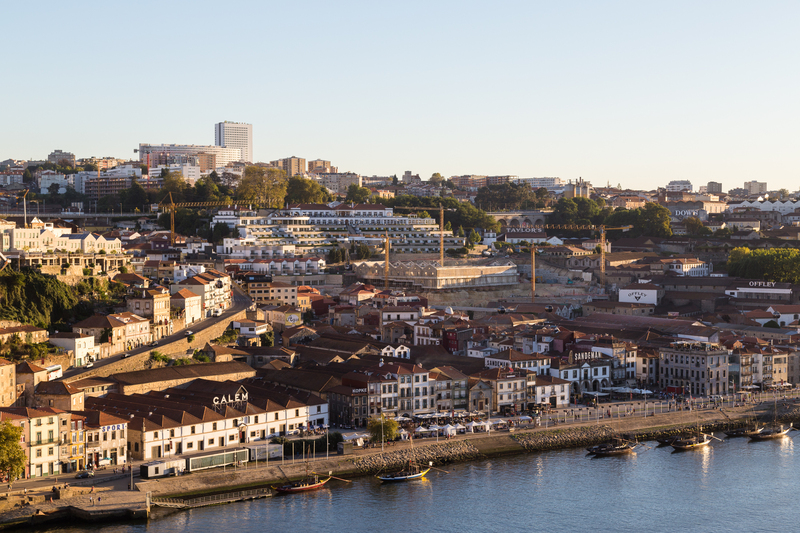 Its main promenade is right along the River Douro, whose name pays homage to the river’s waters that supposedly turn gold when the sun’s rays strike them just so. Chalking it up to an old wives’ tale, I didn’t think much more of it until I was flying out of Porto and saw them glisten with my own eyes. Nevertheless, on my first day when I was actually near the water, I didn’t really pay much attention to the river, wondering instead how a city with perfectly neat tiles adorning buildings could also have dismembered rabbits as wall art. I crossed back over the Douro on the Ponte de Dom Luís, marveling at its two-level construction and standing clear of the trams that ambled by regularly. The weather while I was in Porto was lazily pleasant. It reminded me of a Charleston spring or autumn: fairly warm days, especially under the sun, and nights that started off comfortable but continued to cool as the sun dropped below the horizon. The telltale sign that this wasn’t Charleston was the utter lack of humidity. As evening settled in, the rich blue of the sky began to fade to white, and I continued to take in the architecture that in no way could have suggested Germany was just a 2.5 hours’ flight away. I don’t venture out much in Europe, admittedly, but even after being here for nearly four years, it still boggles my mind that so many different cultures live on a continent whose area — excluding that of Russia — is only around two-thirds that of the USA’s. It’s impossible not to explore, but in exploring, one realizes that it’s impossible to see it all. If one thing is fairly consistent across Europe, however, it’s the general trend to observe Sunday as a day of worship or rest. 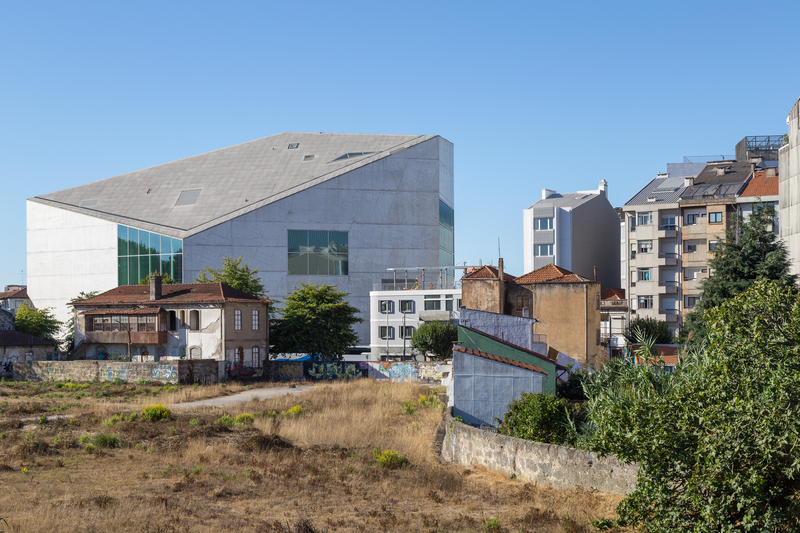 Porto wasn’t an exception, and rather than lose a day to closed museums or attractions I walked from my hotel westward to Serralves, home of Porto’s contemporary art museum. Of the multiple Deutsche Bank ATMs listed in Porto, the only one seemingly still standing was here, and it declined my card. The bank wasn’t really the goal of my walk there, of course, and having lost barely five minutes unsuccessful in my quest to find an ATM without out-of-network fees, I entered the park early, not realizing it was also the second day of the Autumn Festival. 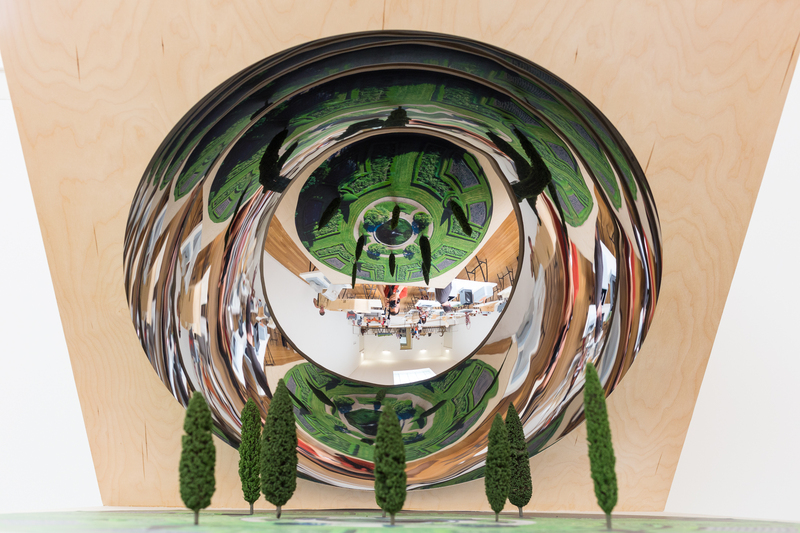 I first wandered through Anish Kapoor’s Sectional Body Preparing for Monadic Singularity. 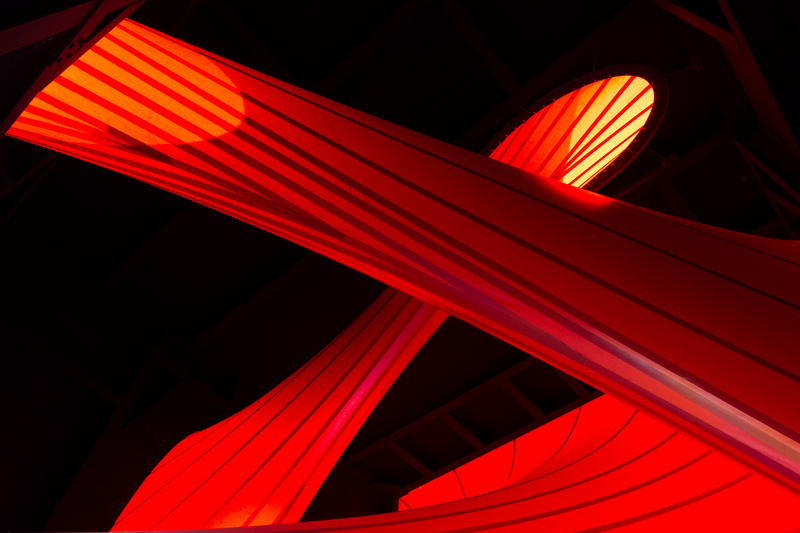 It was cool to be inside a massive cube lit only from giant, glowing red-orange tubes. I thought I had seen Anish Kapoor’s work before, but I couldn’t quite place the name. My cheeks flushed when I remembered how I had recognized it: he was the creator of Chicago’s originally-controversial Cloud Gate, which has arguably since become one of its most-photographed structures. I had better luck with being the only one photographing the model of “The Bean” than most probably do with the real thing, however. 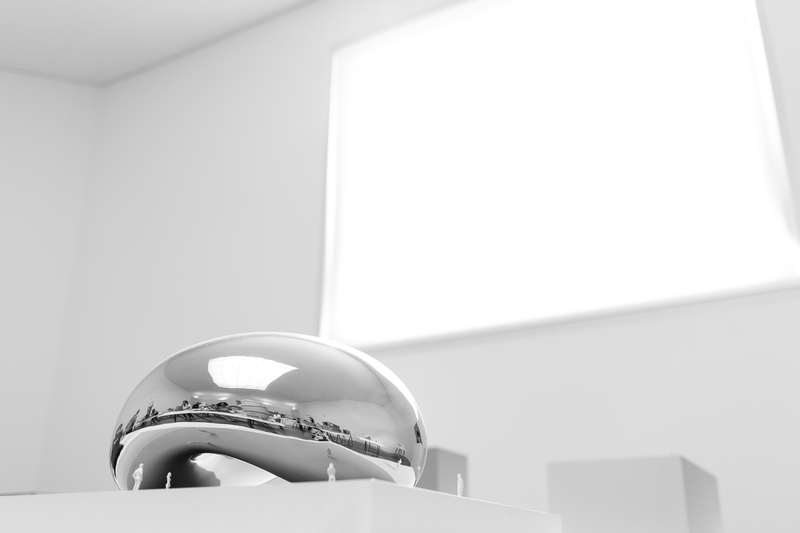 Kapoor’s bright, reflective work doesn’t end with Cloud Gate. 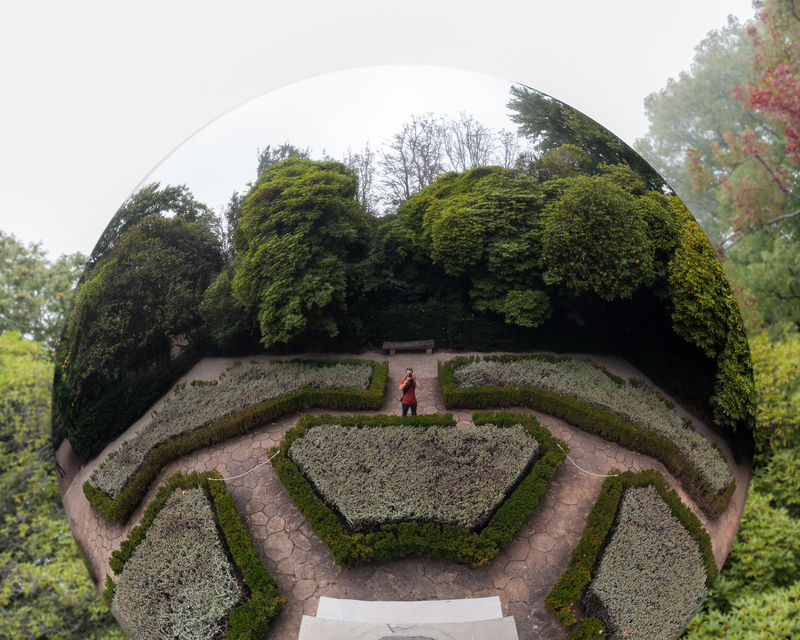 I thought it was neat to see a garden in a concave mirror, the reflection rendering a 2-D photograph as a three-dimensional garden. I approached a much larger version in the gardens outside the museum from the (unpolished) rear, befuddled by what a matte disc was doing in the middle of a garden. I didn’t connect the dots until I walked through the garden, not realizing the other side of the matte finish was buffed to perfection until I turned back around. I wasn’t sure if those who had seen me shooting the wrong side were wondering what exactly I was doing taking so much time behind the reflection; thankfully it also didn’t take long for my to have the garden and my light-hearted self-deprecating thoughts to myself again. As the day went on, the low clouds started to burn off and began to reveal the blue sky beyond. 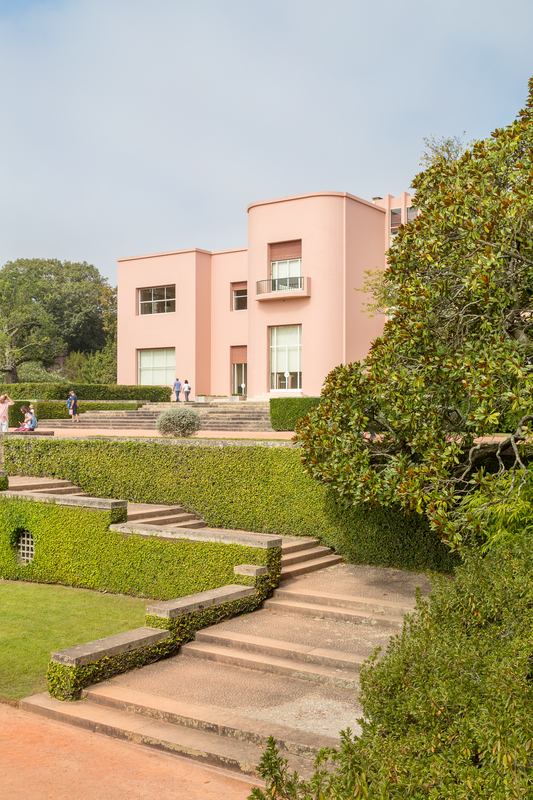 If I didn’t quite grasp some of the art in the museum, I understood the Serralves Villa even less, exploring its largely-empty rooms and halls in about fifteen minutes before I headed back to the gardens and the familiar embrace of nature. I gradually worked my way back toward town, watching the sun work off the rest of the clouds and grabbing a ticket for Othello at the Teatro São Joao. Without having had a full day of sun, the evening seemed to cool quickly, so I headed back to the hotel for an early night. The next morning, I decided I’d explore more of the city and set off fairly early. 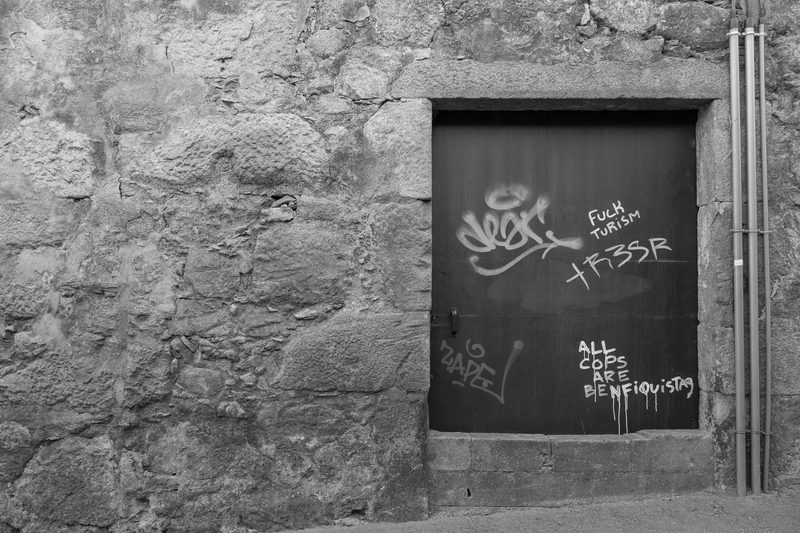 It began as an innocent day with a delicious breakfast, but what I didn’t realize at the time was that the first shots I took that morning would end up capturing my sentiments of Porto by the end of the trip. When I left my hotel on a bright morning, I didn’t really set out with any directions in mind; I just figured I’d explore, stopping where convenient for lunch and then continue some more. Just before I took the stairs down to the metro tracks, I shot the north face of the Casa da Música, Porto’s striking performing arts venue. 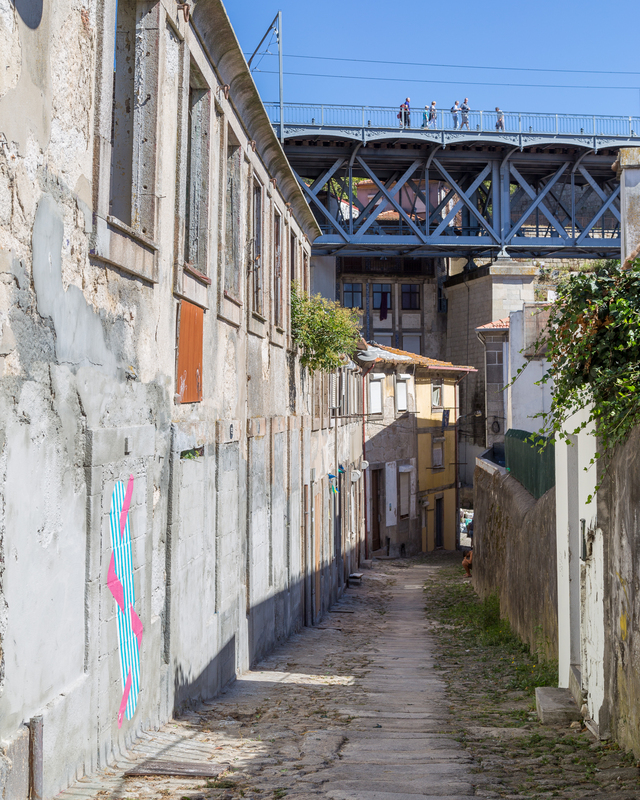 I’d walked by it several times and even photographed it at night, but this view — hidden from the concert hall’s main street that terminates at the Atlantic, six short kilometers to the west — paints a very different picture: it seems to show a Porto before tourism. 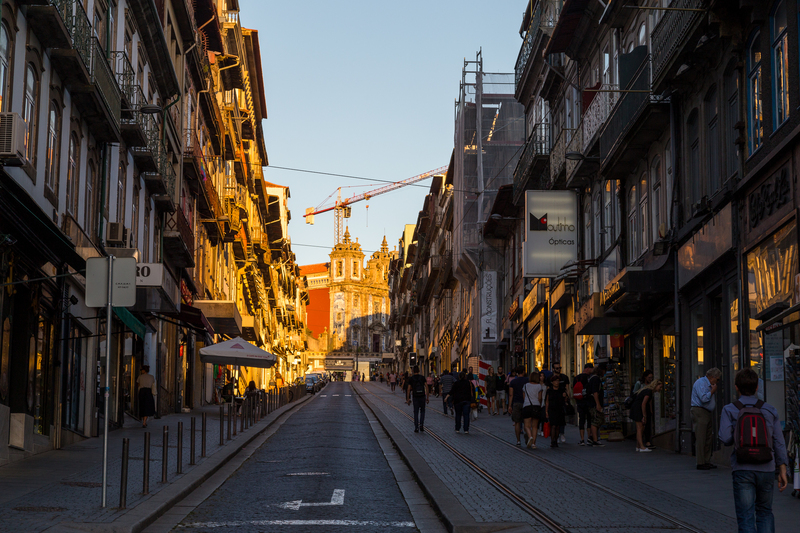 After two days of seeing Porto’s downtown, which guidebooks flower with such glowing adjectives as “vibrant,” “historic,” or “delightful,” I was a bit sensitized to its hustle and bustle and thinking that this was Porto. 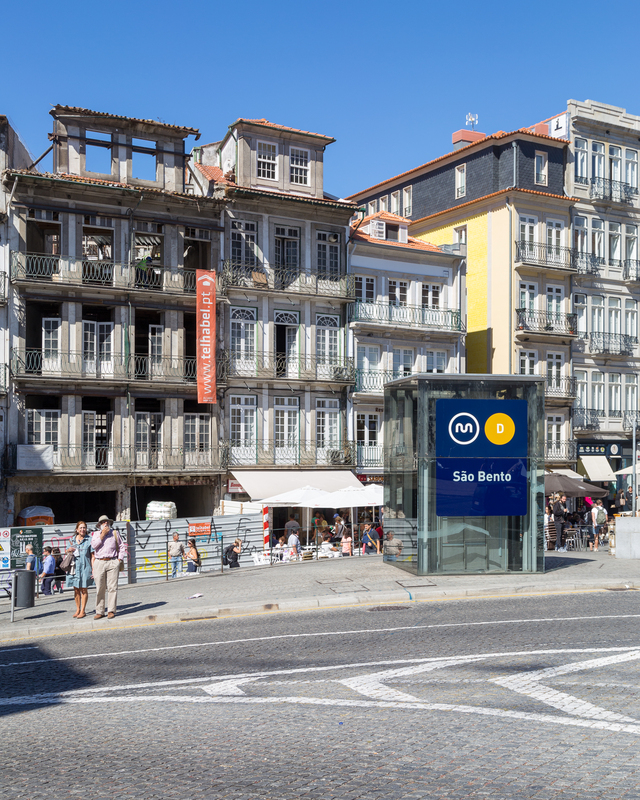 Until that point, I had kind of expected that most of Porto had a certain sheen to it, and most of all a unique architecture and a culture that seemed more genuine than that of most large cities. Paris, London, and Munich are all great visits, but it’s hard to pinpoint a singularly characteristic, or more perhaps important, a singularly historical Parisian, Londoner, or Münchner thread or aspect that other cities in the same area or even country wouldn’t share. I figured that Porto’s growing popularity had long removed the old buildings and unclaimed open spaces in the shadows of its new, shiny visage. Evidently, it hadn’t: some remnants remained. The image sat in my head for the rest of that morning, and it wasn’t until later that day that I realized abruptly — the question I didn’t know I was asking was, what is tourism doing to this beautiful place? After a brief metro ride, I hopped off into the familiar sounds and smells of Porto’s downtown, but with my curiosity piqued I drew a sharp breath as I began walking, now that I was completely unsure what to expect. I knew I needed to make my way toward the river and set off in its general direction, biding my time meandering along streets and peeking curiously into alleys. As I walked along, I began to hear a soft dinging, two metallic tones followed by a smack that sounded like soft cloth whipping on something cold. I followed it, each ding-ding-whap growing louder but without revealing their source. 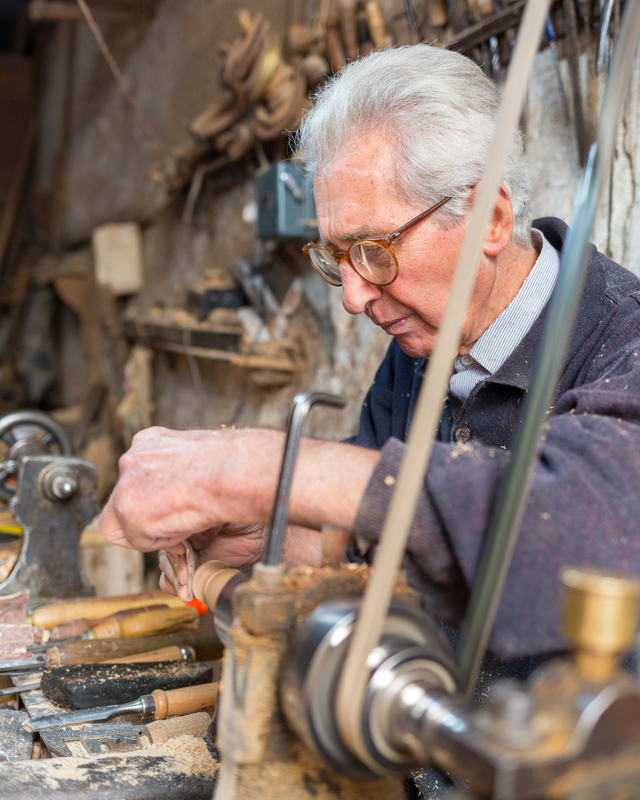 Then I turned my head left, and from across the street, I saw an old man, working at a woodworking lathe in a dusty workshop lit by natural light and a single overhead lightbulb. I approached and said hello, asking if he spoke English, and in so doing exhausting my entire Portuguese vocabulary in one breath. He smiled and said no, but continued speaking, gesturing at his handiwork and presumably describing what he was making or why or for whom. 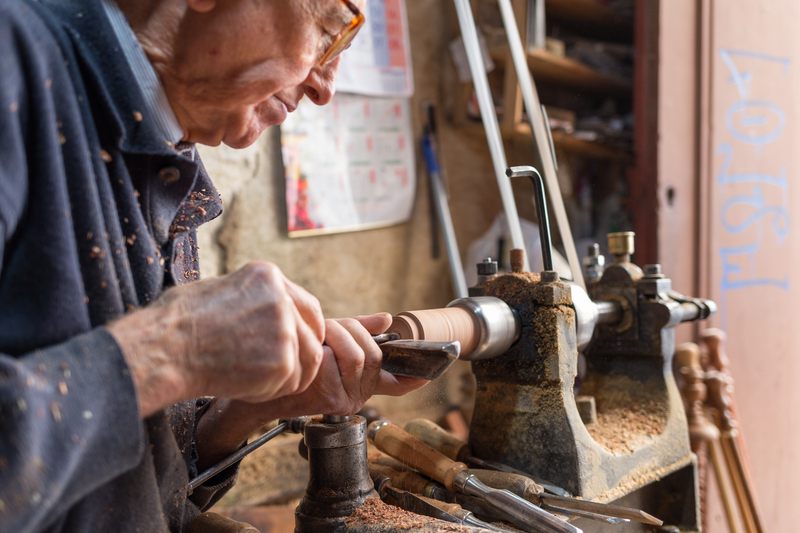 The clinks and whiplike sounds I had heard before were the two fasteners holding the two ends of his lathe’s belt and the extra flap of leather as they flew around the lathe’s bearing; by this point, however, my attention was no longer on the sound but rather on the clearly talented — and passionate — individual in front of me. 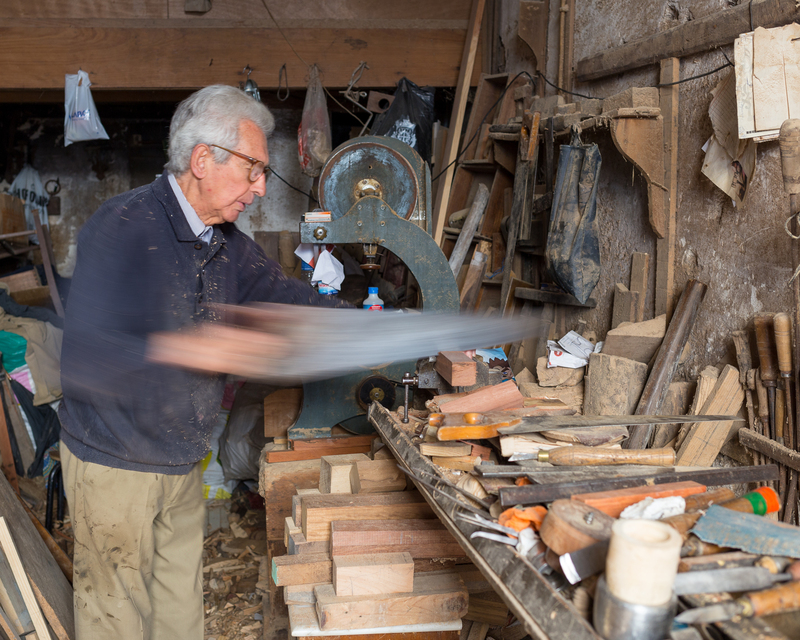 As I walked up, the carpenter, Artur Olivera as I later found out, was finishing one handle for a drawer or cabinet. 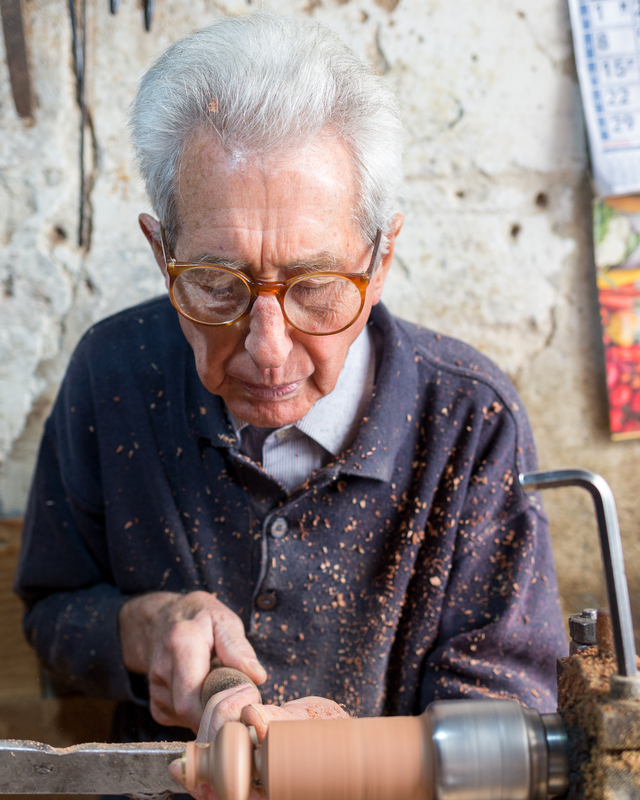 He was sanding it with his finest grit sandpaper and showed me the result compared to the broken original, then put it in a paper bag for the customer who ordered it and continued to the back of his workshop for his next creation. I had long since asked if it was okay to take pictures, and Artur nodded happily, stopping his process to show me a dusty, framed newspaper article (from which I learned his name) about him. He was 87, he said, then gestured at me to follow him outside, pointing to his address and saying he’d be 88 soon, the same as his house number. Back inside, I understood that a daughter had been to the USA, and he showed me a few postcards from our own standard destinations: New York, San Francisco. I was positively speechless: never in my wildest dreams had I imagined stumbling across this, what I thought must be among the last battlements of a Porto before it was discovered, prized, and subsequently devoured by the great tourist machine. But behind my silence, my mind tussled hard with whether I should even post the pictures I kept raising the camera to my face to take. Artur spoke from time to time, I smiled back and nodded, occasionally saying that I didn’t fully understand, and he continued working on his second order. As much as I was unaware what exactly he was saying, he was probably unaware of the turmoil going through the mind of this most curious passerby. The dilemma for me was not new; I had commented on it after my trip to the Faroes, too, and my laments about Zermatt crowds are based on preservation (indeed, conservation) of the landscape much more than they are on selfish solitude. But Porto was a new one. I hadn’t thought Porto seemed all that built up for tourism. Compared to other big cities in Europe, English was far less spoken, and local customs seemed far more valued. Restaurants, for instance, don’t open at 5 PM for the tourists, only for the locals to not find tables at their dinner time of 8 PM. Holidays and Sundays are days of rest. Trinkets most certainly existed, but tourist shops weren’t extolled on every street corner. 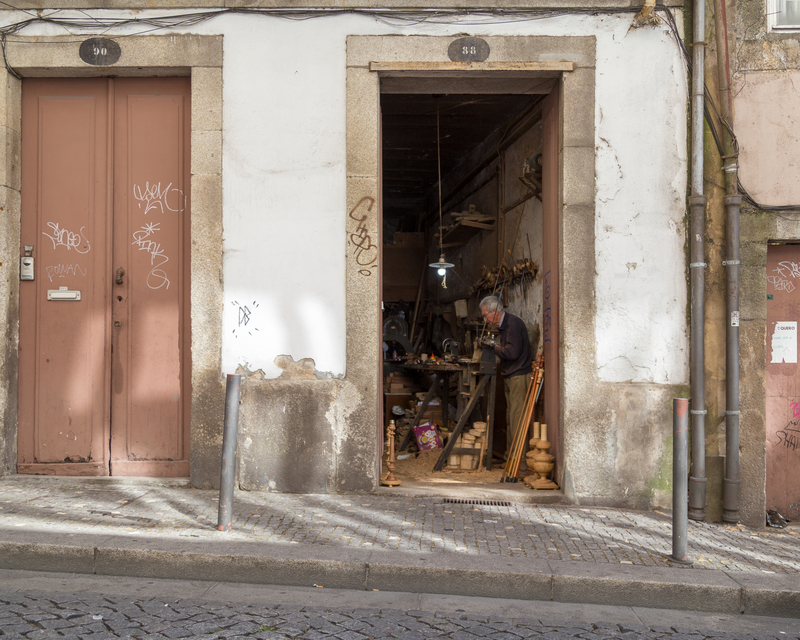 Porto still seemed, in a word, genuine, even if not altogether untouched by the allure of tourist wallets. 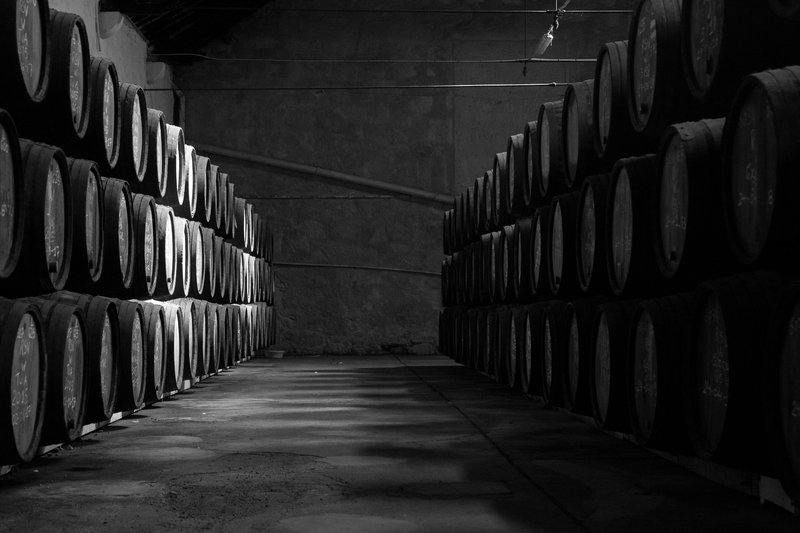 Seeing Artur work, however, revealed that there was still a veneer, that a Porto of days past was different. I had walked into his place of business to take photographs and had no right to show his craft, but this very sort of incredulity seems to be what tourism in a most cynical light seeks to exploit. After watching him work with increasing awe and respect, I bid adieu and left as he began turning the second knob of five he had to make. I looked at the time: I had been there over an hour and a half. It’s for this moral uncertainty that this post took so long to post. I went through the photos months ago, never deciding which ones to export for this blog because I wasn’t sure how comfortable I’d be sharing them, sharing Artur’s work. In trying to learn more about him, I came across someone else’s post who had similarly serendipitously come across Artur’s workshop. I left simultaneously thrilled not to have had an itinerary or directions and wondering if I should have had them to avoid what I consider the moral dilemma of revealing cultural fragments that if collectively broadcast would arguably turn residents permanently against tourists and tourism. After lunch, I spent my afternoon deep in thought on the topic, so much so that it took me three hours of searching for a Deutsche Bank ATM before snapping out of my trance and deciding a 5 € out-of-network ATM fee was a better way to spend my time than to continue the search in vain. A long time of walking and deliberating later, I finally decided to go to Miramar Beach. It was on my list as a photographic location, but with the contemplations earlier I wasn’t sure if I was in the mood to seek a picture deliberately just for a picture. That’s hitting the tourism nail on the head, after all. 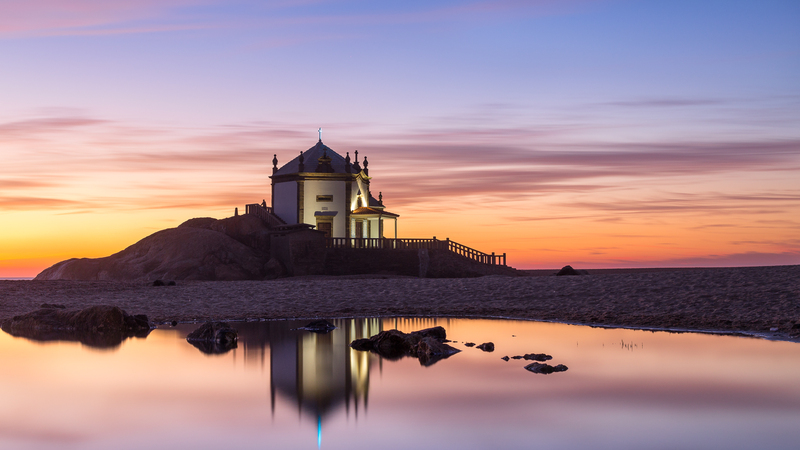 On the other hand, I had been around Porto enough that I had half an afternoon to do something, and Miramar was a convenient train connection away, so around 3 PM I grabbed my tripod and a jacket and headed out. The photographic draw isn’t Miramar beach itself but rather an isolated little church perched precariously closely to the battering waves of the ocean. After my train and the next one didn’t arrive, I asked the locals waiting for their trains if I was on the right platform. One, a college student, spoke English and said there was a strike, and given that she was also headed to Miramar, asked if sharing an Uber might be an option. Twenty minutes later, I was looking across the Atlantic. I scoped out where I might set my tripod, deciding on a high bit of ground that gave me what I thought would be a good vantage point for sunset. Sea mist boiled up next to the church as the sun crept below the horizon. The train back to Porto never came, despite two whooshing by heading that direction, horns blaring. I ended up chatting again with the platform-mates. This time, all were visiting, non local. 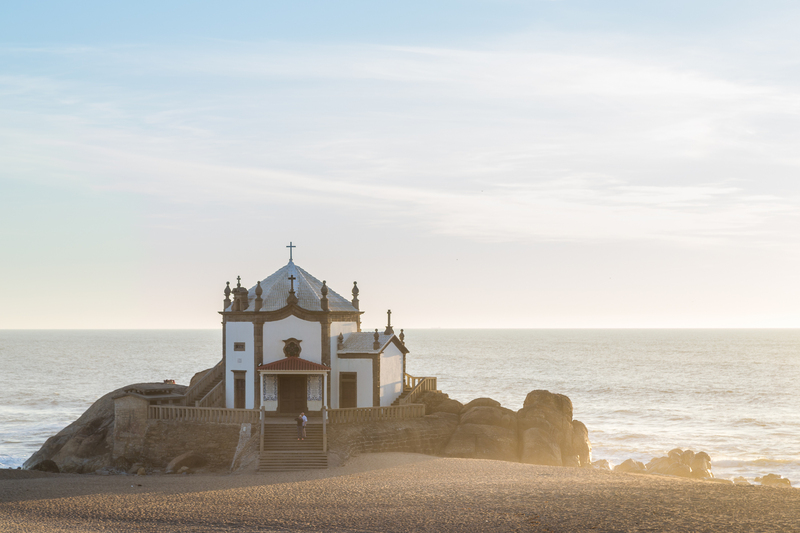 A Romanian photographer who showed up after I had changed spots on the beach showed me her photograph of the church at sunset; the little stream that ran into the ocean made for a terrific foreground, it turns out. With no train coming, Uber saved the day again, but as we got into our cars, a train actually pulled into station. Chance, it seems, was the mot du jour. I saved all the scheduled events for my last full day in Porto, choosing a walking tour for the morning and a Port wine cellar tour for the afternoon. Our tour guide, João, did a great job of merging history, humor, and trivia into the roughly three hour stroll. 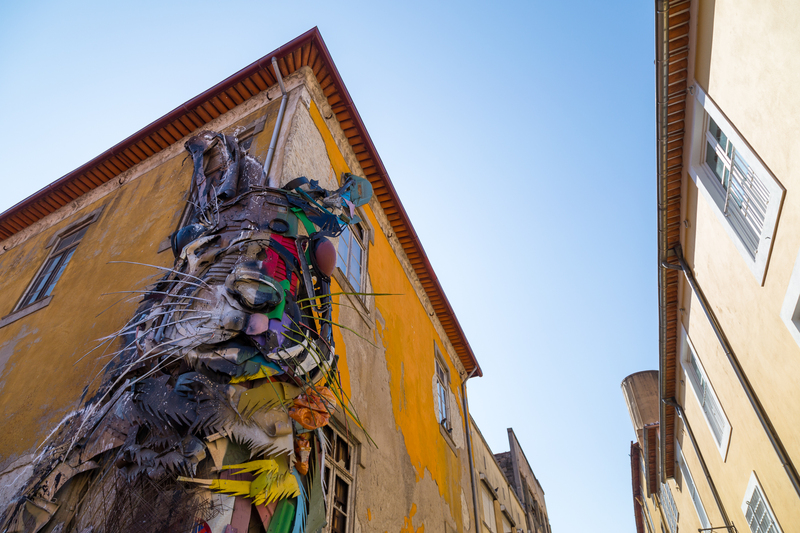 As we walked around, I began to see more of what I had been thinking about the day before, causing me to question even more whether I should really comment about the last vestiges of old Porto. Everywhere I looked, old buildings were being torn out for new; cranes were everywhere. On its own, not a bad thing for a city, but if it was all funded by an industry that sometimes seeks to supplant local for the foreign familiar… my own trip began to feel a little hypocritical. The line for customer service inside the São Bento train station was extremely long, maybe due to the strikes the previous day. When I had first walked through here on my first day, I was in awe at the blue tiles on display. 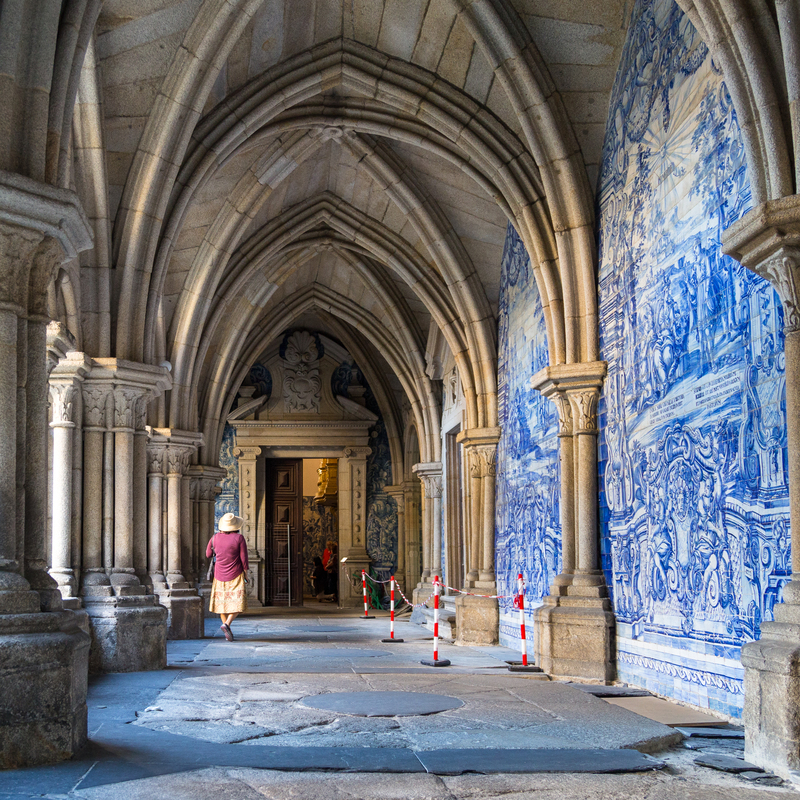 Now, as João explained the significance of the thousands of blue tiles in the São Bento train station, I wondered cynically if the master plan wasn’t to put the display front and center, drawing attention as visitors left their carriages behind and came into the world of Porto, azulejos city. Directly across the street was a building getting gutted and renovated into something newer, shinier. What I didn’t notice the previous dozen times I had walked in front of it was that the buildings next to it had already undergone their renovations; this one seemed to be the last one to go, at least for now. What was in the building before? Had there been an Artur Olivera in that building, too? The wine cellar (or Lodge) I was headed to was on Vila Nova de Gaia, and as I wound my way through the streets back toward the water, the view from under the Ponte de Dom Luís gave me unexpected pause, too. 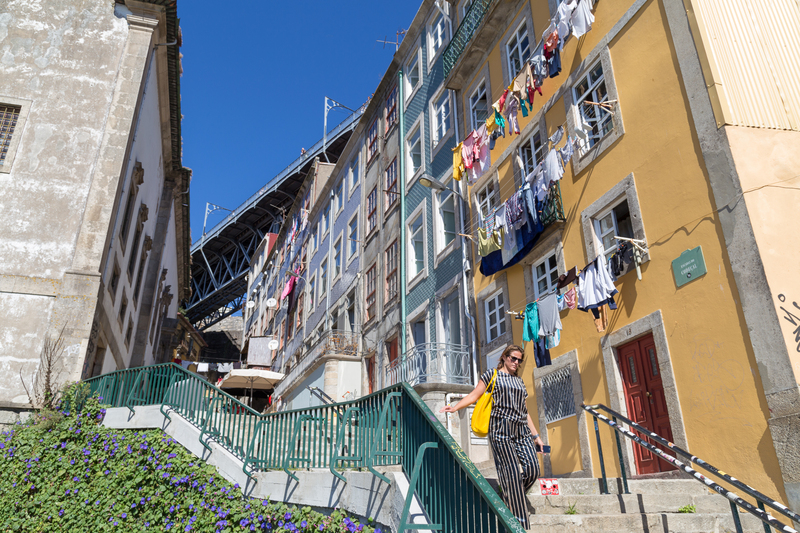 I didn’t look down much at what lay below the bridge on the first day, but this time, I had walked downhill to Ribeira, and looking up at the bridge almost seem a tacit admission of what the city had given up to become a tourist destination. 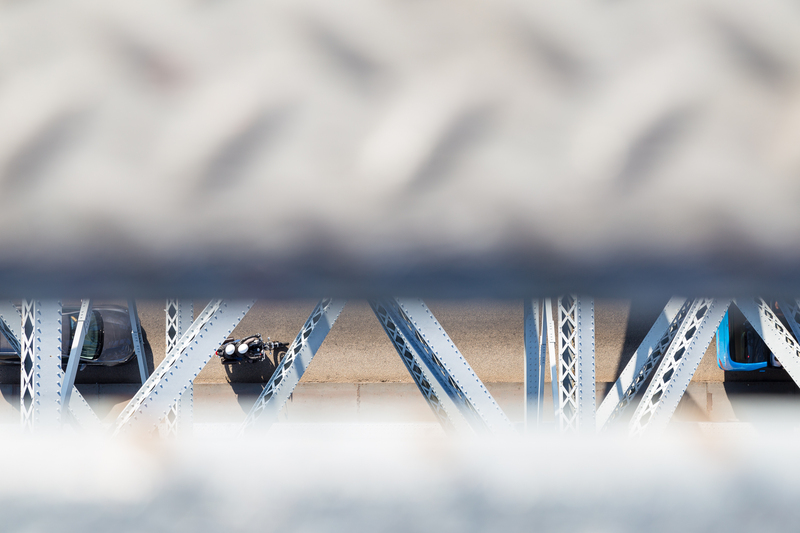 Here seemed to be older ways of life, surrounded on every possible face — the bridge being the altogether figurative and literal roof of it all — with reminders of what the city aspired to become, what it had become. Where was all the wealth and expansion coming from? And what is the real Porto? My gait through Vila Nova de Gaia was markedly slower retracing the steps of my first day than when initially forging them. It slowed to a stop a few meters from the visitor’s center as I waited for a bus to come around a blind corner. What froze me, however, wasn’t the bus: across the street was a door with a very bold, and very timely, message. I’ve seen plenty of street art, but I’ve never seen something so monosemous. I had to look up the word — I’m happy that there is for once a direct English translation for a German word (eindeutig, in this case) — but in two words conveyed an opinion of the question I’ve been raising here for the past two thousand words. I went on the cellar tour still pretty deep in thought. On tours, I’m sometimes “that guy” that straggles behind, taking many photos, and inside a warehouse was no different this time. 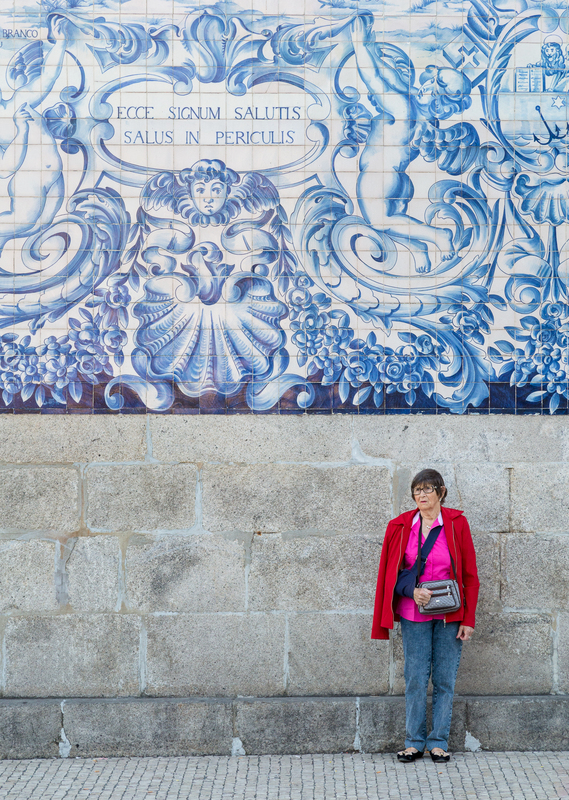 If anything, I wondered if the barrels of port spent as much time contemplating Porto as I had been — the fresh air outside was a welcome relief when I ducked back into the sunshine. With no specific itinerary left and my head full of questions I wasn’t sure I’d answer, I took a circuitous route back to the city, enjoying the extremely pleasant weather and never really considering whether I should chosen Zermatt instead. 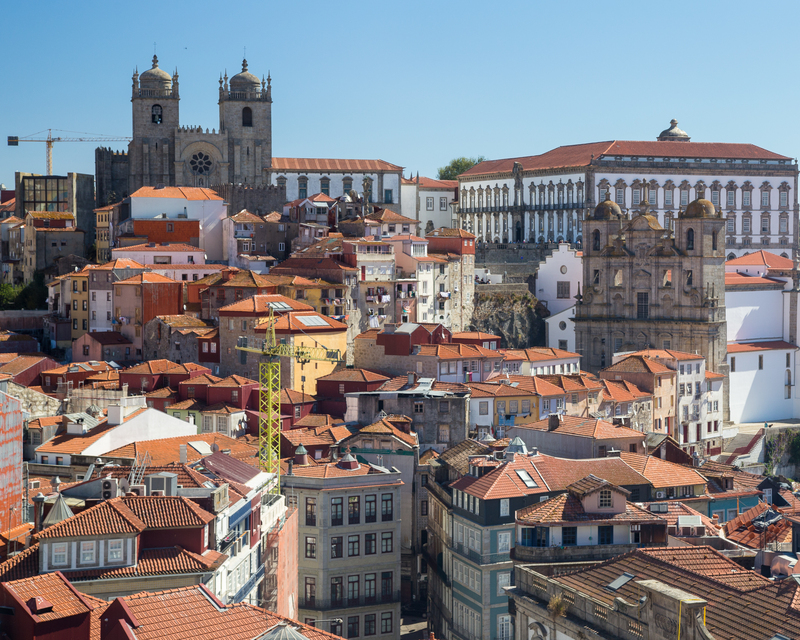 Make no mistake — rich cities that make me ponder are ones I typically find the most fascinating, and all the musings notwithstanding nothing I’ve written here is meant to suggest that I was disappointed in or by Porto. 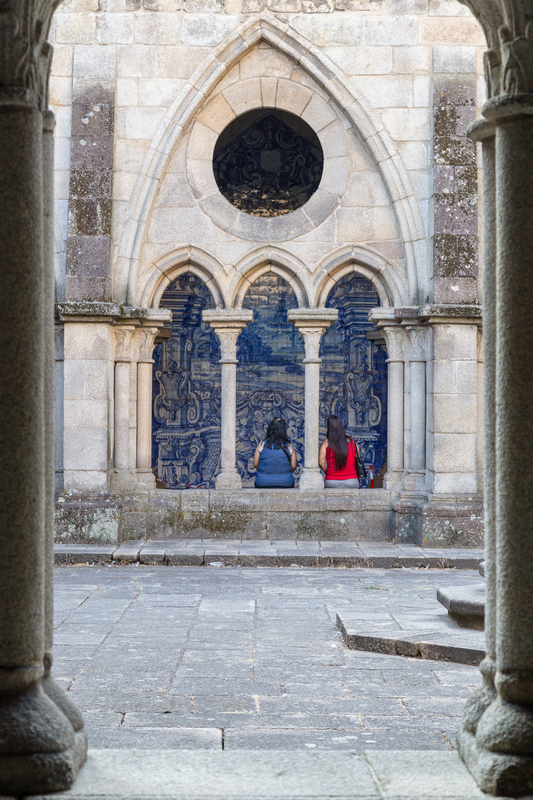 In a place that’s increasingly touted as the place to visit, I was curious about what Porto was like before it became this hot, and that curiosity was piqued in the most coincidental way imaginable. Ironically enough, one of the reasons to visit mentioned in the Forbes article is the Yeatman Hotel, well above my budget and yet again figuratively and literally rising over older, less manicured structures. What turned that (pointing at yellow building) into that (indicating the clean rooftop and courtyard of the Yeatman Hotel)? 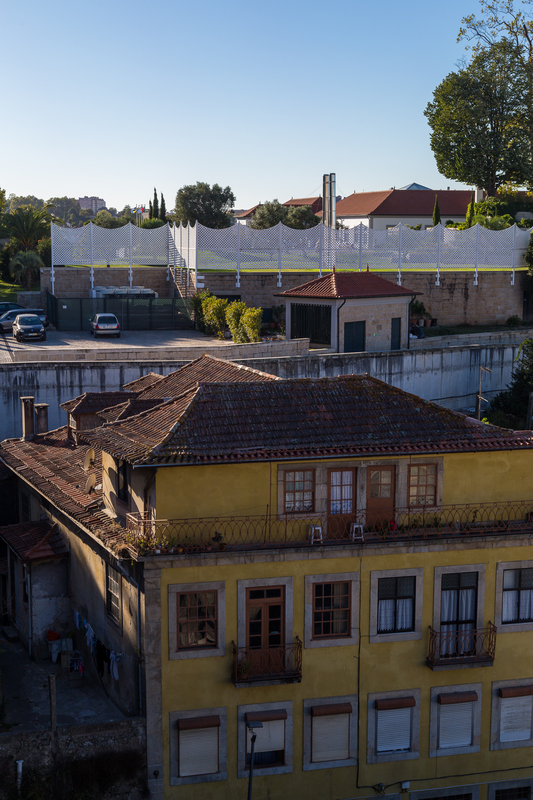 Closer to Ponte de Dom Luís, I walked in front of a gated, seemingly deserted mansion. Even set against the cloudless afternoon — thank goodness the day I shot the sunset wasn’t like this! — the building brooded over its surroundings, making me not speed up my pace but instead slow down to wonder what had been here before. As I crossed the bridge for the last time, I had a chance to take in the city under a beautiful evening sun. The houses near the funicular more or less followed the old city wall, adding another dimension to the city that I hadn’t noticed before. 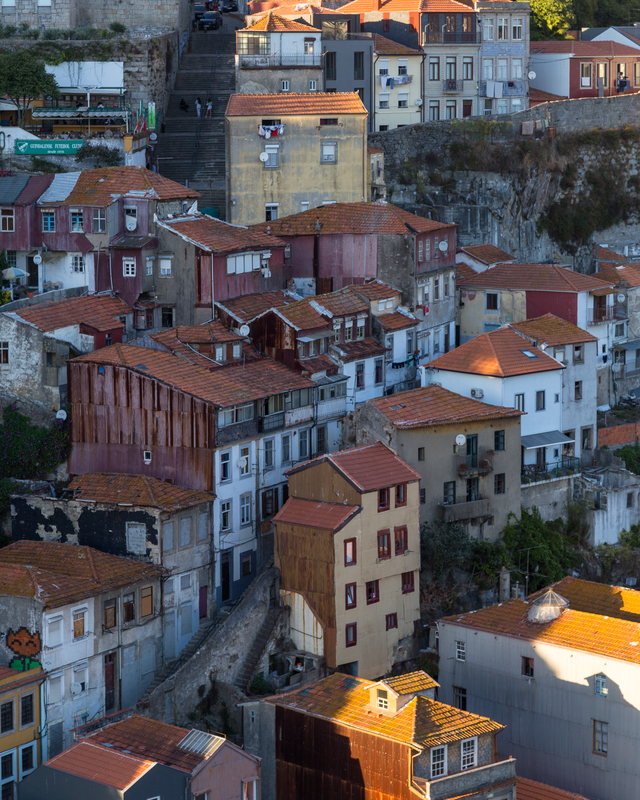 On the other side of the bridge, the lower reaches of Baixa fused with the upper limits of the Ribeira, all aglow in the warm, golden light. On the walking tour earlier, I didn’t notice the lush greens of the Seminário Maior do Porto, although the Paço Episcopal do Porto, Porto’s Episcopal Palace and here in the top right corner, is harder to miss. The duration of the magical colors I saw the night before apparently aren’t limited to days with cloud cover. As I was walking to dinner, I walked up a street toward an astoundingly golden glow that shown below is not some trickery of Lightroom. With this much intensity, it wasn’t at all surprising that the Douro just might be able to glint a similar shade. 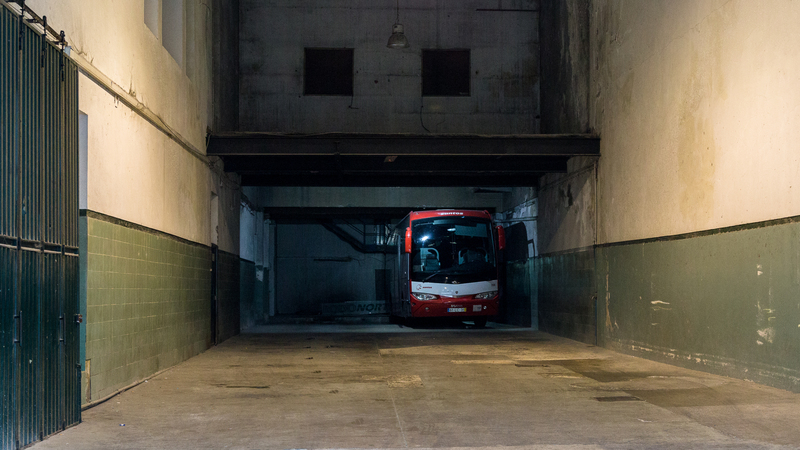 As I walked to dinner, I spotted a strangely appropriate object tucked into a garage: for all the tourists in Porto, there was a surprising dearth of tour buses. If travel dollars were flowing into the economy, it certainly didn’t appear to be from mass tour groups checking off ten city boxes on a ten-day tour. Subconsciously, I recognized this as a big relief: Porto wasn’t being “invaded” so much as it was being explored. This was the second time this year I’ve wondered aloud whether I should share what I thought were evocative images for fear of them being either diluted, or potentially more dastardly, oversaturated, with additional exposure. 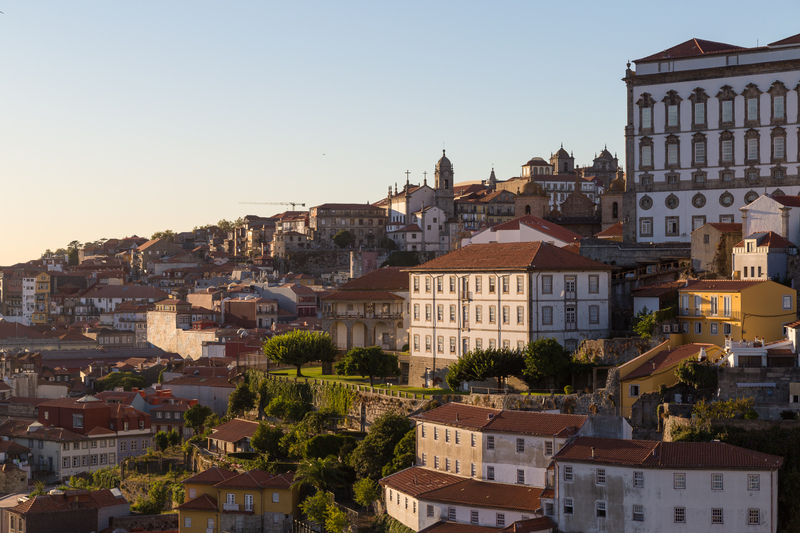 A city doesn’t become worth visiting because a million people have been there before; there’s far more to historical places — and Porto is Portugal’s oldest — than the number of likes or shares on social media sites. 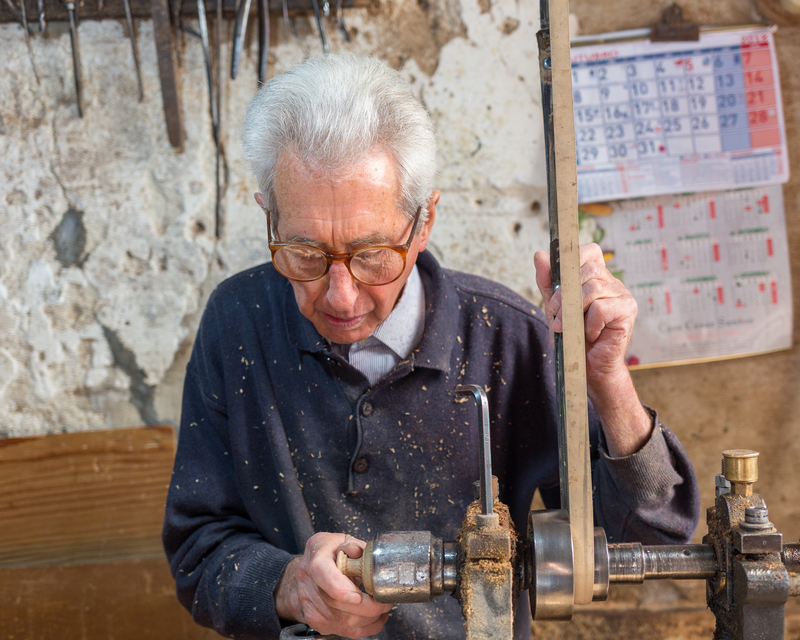 But Artur’s may represent the last of Porto’s traditional métiers, and just maybe stories like his might encourage others to investigate, to examine, to slow down and yearn for meaningful understanding rather than tick off items on a must-see checklist. Touristic overruns are increasing in number, and for Artur’s sake and those of other Portuense who always wear a bright smile, even in the lenses of photo-snapping visitors, maybe these pictures will encourage people to respect the world’s beautiful places. 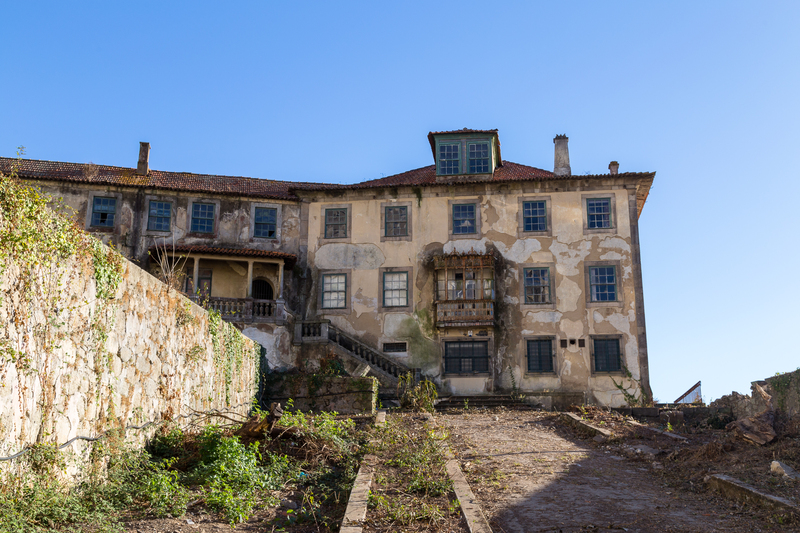 It seems that “keeping up with the Joneses” has changed from an idiom about conspicuous consumption to extravagant traveling and the photographs that come with. I’m not so aloof that I think one post will change the mindsets of the entire traveling public, but I hope it’s a start. As we climbed out of a town that’s made me write more in a single post than practically any other, the Douro winked back intense golden rays for a good ten seconds, confirming its etymology in no unclear terms. I hope that others get a chance to visit Porto and see a golden Douro for years to come, and in that sense, Porto’s biggest success in ten years’ time will be if a kind man whose language tourists can’t understand still appears undaunted by the bustle around him and who still chooses to practice his passion of nearly eight decades, curious why others were visiting his town. For isn’t it for this reason that we travel — to learn more not only about others but about ourselves?